Let's be honest here, I can't stay away from pink for too long! I absolutely adore this shade. It's another Daisy one but unfortunately it had no name on it, so I have no idea what it's called. This week I decided to be adventurous and get a little rhinestone accent nail. I did ask for it in the bottom centre but I'm still happy with the placement as it is. How long do you reckon they'll cling on for? 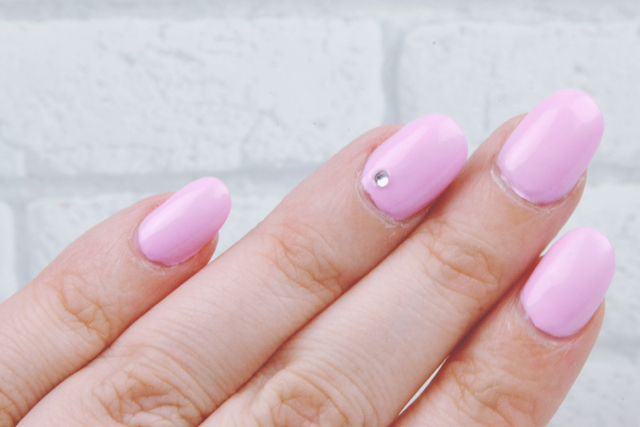 How long do your gel nails normally last for? I might give them a go. Looks lovely. They normally last about 2 weeks before they start chipping. I get them re-done every 3 weeks or so.